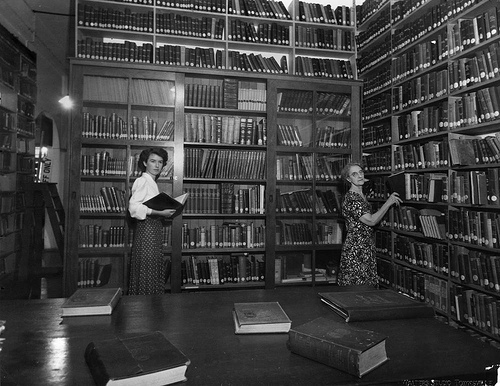 ← The more librarians we have to help our users, the more users ask questions. This librarian works at a library with 10-50 staff members in an suburban area in the Western US. Soft skills are problematic. MLIS students would benefit from learning more about public speaking and presentations, about networking in professional functions, and about writing ranging from a good cover letter to effective e-mails. I hear more and more that cataloging isn’t being taught, or that it’s only an elective. Organization of information is the backbone of so much library work, and it’s dismaying when I encounter those who could have used a course in cataloging. Actual application of skills, such as when to make local decisions for cataloging materials so as to meet the needs of the users rather than what a classification system suggests. Organizational culture. You can’t interview for that precisely, but it is something that can be shared and inculcated after hire. No preference. The candidates I see are usually from a small pool based on the programs that are geographically closest. I am wary of alumni from the larger online programs, but I would judge candidates on the merits each puts forward. You can often tailor assignments to your career goals, so try to do so. Work in a library as a student worker if you can, or do a practicum or internship. Do not overlook management courses – all too often librarians get promoted because they have the most seniority, and having some course work to back that up is helpful. Your program or university should ideally offer career advice and workshops on applying for and interviewing for jobs. Seek out these resources and use them! For some context, take a look at the most recently published summary of responses to this survey, or specific analysis of the responses discussing online school, the amount of coursework students should take, and preferences/reluctances for candidates from certain schools. This survey was coauthored by Brianna Marshall from Hack Library School. Interested in progressive blogging, by, for, and about library students? Check it out!